Attractions like Bondi Beach and Sea Life Sydney Aquarium make great kid-friendly stops. You'll explore the less-touristy side of things at Wentworth Falls and The Giant Stairway. Step out of Sydney to go to Leura and see Gordon Falls Lookout, which is approximately 1h 35 min away. There's much more to do: wander the streets of The Rocks, catch a live performance at Sydney Opera House, tour the pleasant surroundings at Manly Beach, and hunt for treasures at Sydney Fish Market. To find traveler tips, maps, reviews, and more tourist information, read Sydney trip builder website . If you are flying in from Singapore, the closest major airport is Sydney Kingsford Smith International Airport. 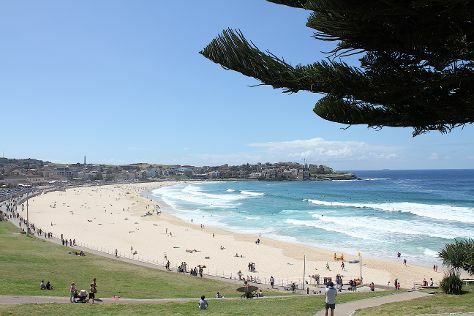 In June in Sydney, expect temperatures between 21°C during the day and 11°C at night. Finish up your sightseeing early on the 13th (Thu) so you can travel back home.